AMD’s FreeSync 2 platform this week gained yet another supporter. BenQ on Thursday introduced its EX3203R gaming display that supports AMD’s latest dynamic refresh rate technology along with the DCI-P3 color gamut. BenQ’s new monitor will be the fifth FreeSync 2-supporting LCD announced so far and thus will have only a few competitors. It is also noteworthy that the EX3203R will have a USB Type-C input, a feature not available on other displays with FreeSync 2. BenQ’s EX3203R is based on a 32-inch curved VA panel featuring a 2560×1440 resolution, 400 nits brightness, a 3000:1 contrast ratio, 178°/178° viewing angles, a 4 ms response time, and a 144 Hz maximum refresh rate. The key feature of the monitor is AMD’s FreeSync 2 dynamic refresh rate technology that mandates support of at least 90% of the DCI-P3 color space along with HDR and LFC (low framerate compensation). 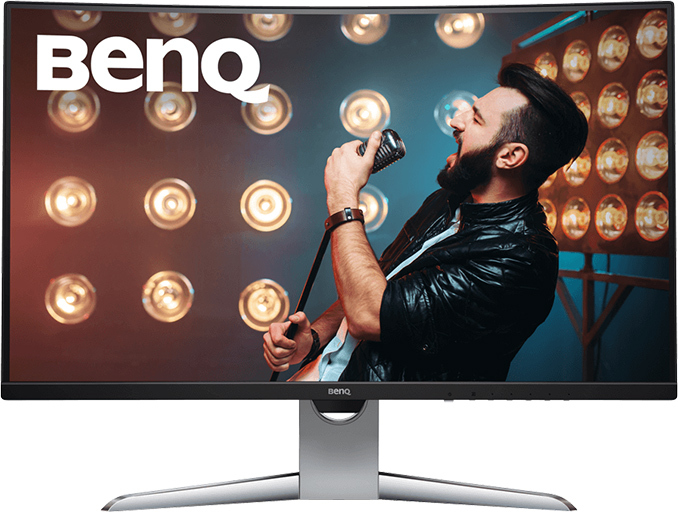 BenQ does not specify the range of the FreeSync 2 on the EX3203R monitor, but from our previous encounters with 32-inch FreeSync 2-supporting displays, it is reasonable to expect the new model to feature a relatively wide range from at least 72 Hz to 144 Hz. Speaking of FreeSync 2-supporting displays in general, it is noteworthy that all 32-inch FreeSync 2 LCDs announced to date use a VA panel with a 2560×1440 resolution, a 400 nits brightness, and a 1800R curvature. 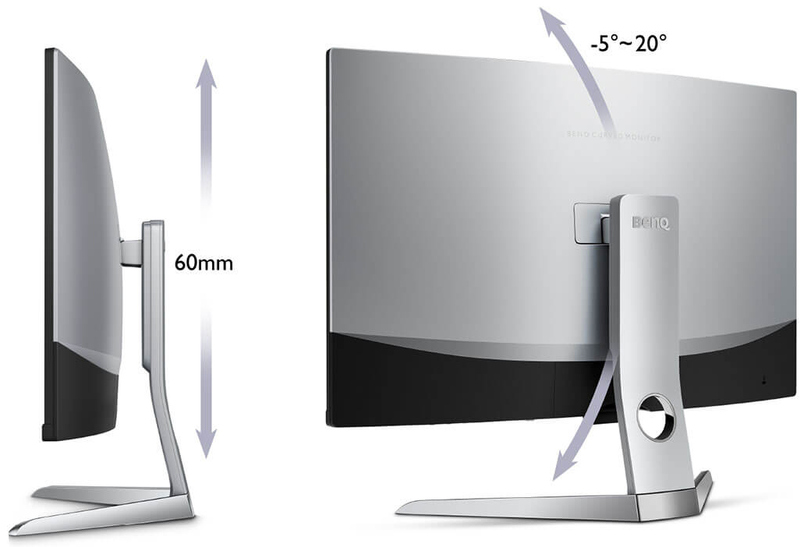 While no official comments have been made on this matter, it is highly likely that AOC’s AGON AG322QC4, BenQ’s EX3203R, and Samsung’s C32HG70 are based on the same 32-inch VA panel from the Korean company. Meanwhile, Samsung itself uses a QLED backlighting (with quantum dots) to guarantee coverage of up to 95% of the DCI-P3 color space, whereas other suppliers use P3-graded LED backlighting that enables coverage of “only” 90% of this color gamut. Back to the BenQ EX3203R. The display comes in a plastic chassis and has a stand that can adjust height, and tilt. 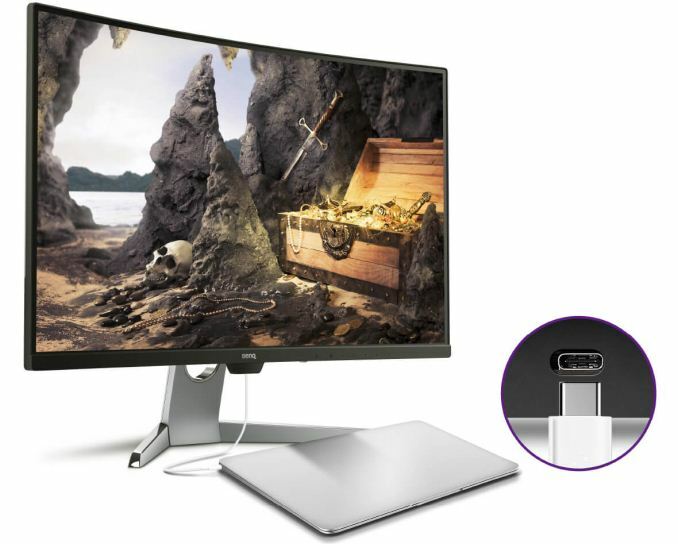 As for connectivity, the monitor is outfitted with two HDMI 1.4 inputs, one DisplayPort 1.2 header, a USB Type-C port that can be used to connect laptops, and a mini-jack for headphones. The EX3203R is also equipped with a dual-port USB 3.0 Type-A hub that uses the USB Type-C as an upstream port. 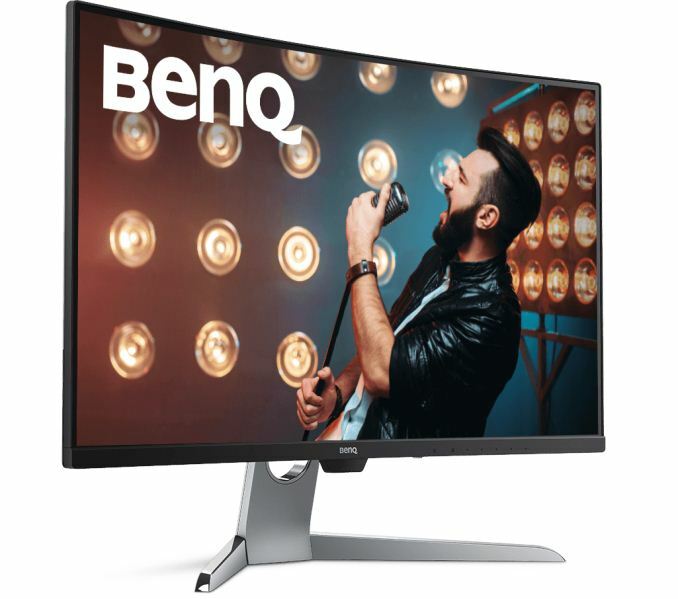 In addition to its key selling points like FreeSync 2 support, a very high refresh rate, a USB-C input, and a curvature, the BenQ EX3203R also has very thin bezels and supports various enhancements from the manufacturer, such as the Brightness Intelligence Plus and the Low Blue Light. The BI+ detects surrounding light levels and automatically adjusts brightness and color temperature to fit the environment (professionals would hate this feature). In addition, the same tech can adjust brightness based on usage time to protect user’s eyes (this one will hardly be appreciated by both professionals and gamers). As for the LBL, it can filter blue light to reduce eye fatigue. BenQ has not announced ETA or MSRP for the EX3203R, but it makes sense to expect the display on store shelves in the coming weeks or months. It’s great on my 38-inch LG Ultrawide that sits less than two feet from my face, but it’s silly on something this small and 16x9.